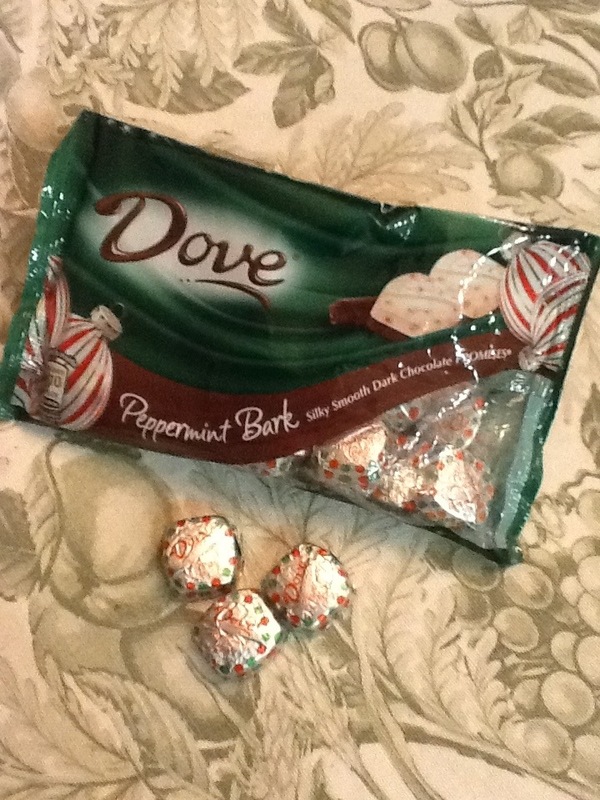 Oh how I love to discover a new seasonal sweet! These may have been around for a few years, but they’re new to me. 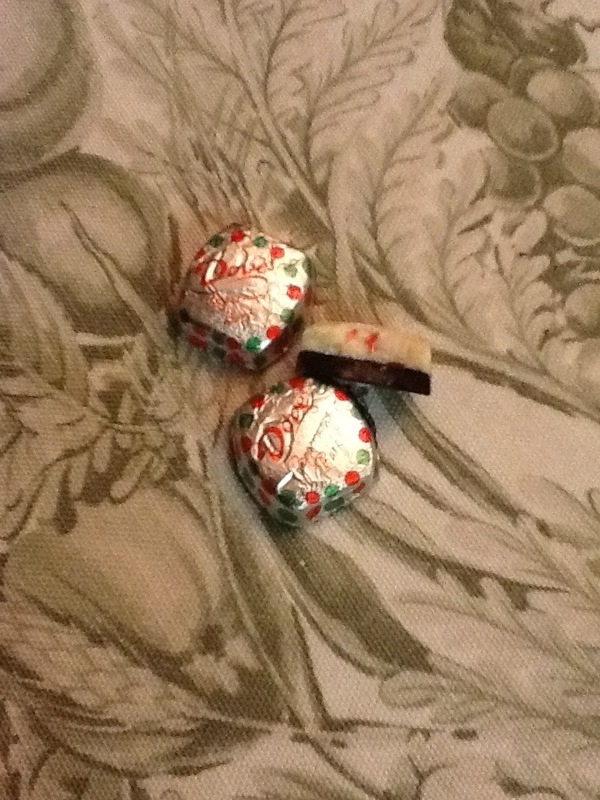 Here are little bites of peppermint bark. Just the perfect nibble-size without over indulging. 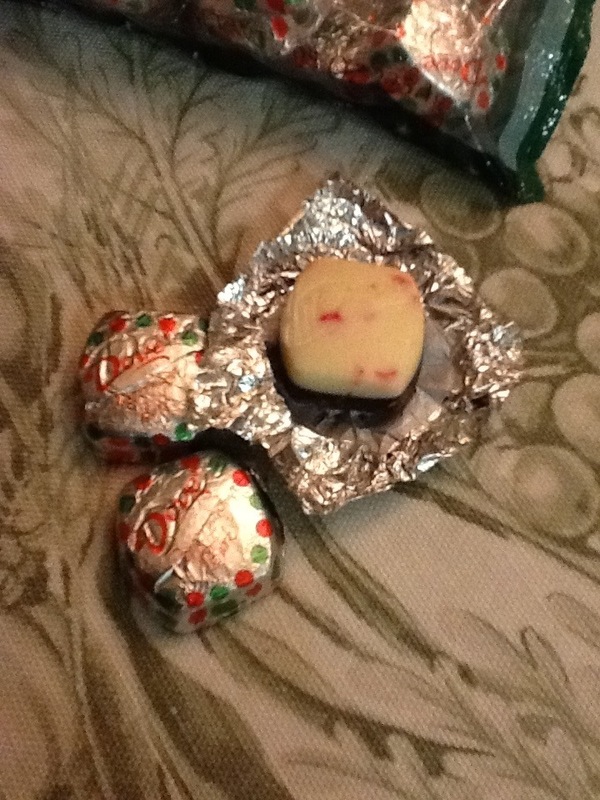 The white chocolate top has candy cane bits inside, and the bottom is dark chocolate. Together they form a perfect treat, and are a new favorite. I’ll need to stock up next time I’m at the store, and you should, too. Posted in Christmas, crunchy, Dark Chocolate, Minty, White Chocolate and tagged dark chocolate, dessert, food, white chocolate. Bookmark the permalink. I love that you review candy!!! !